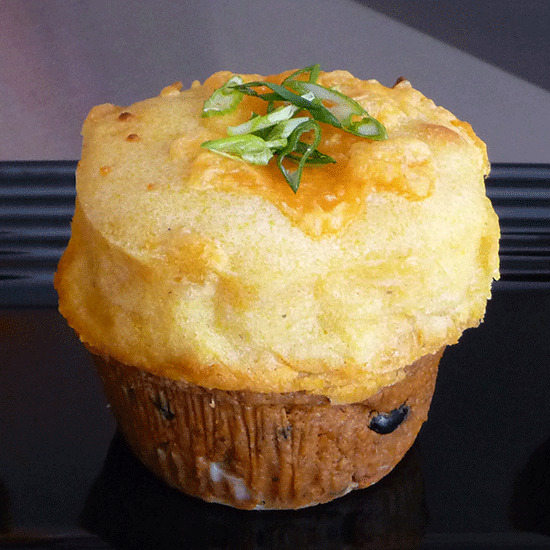 Satisfying savory cupcakes, from a veggie curry variation to the indulgent bacon white truffle. 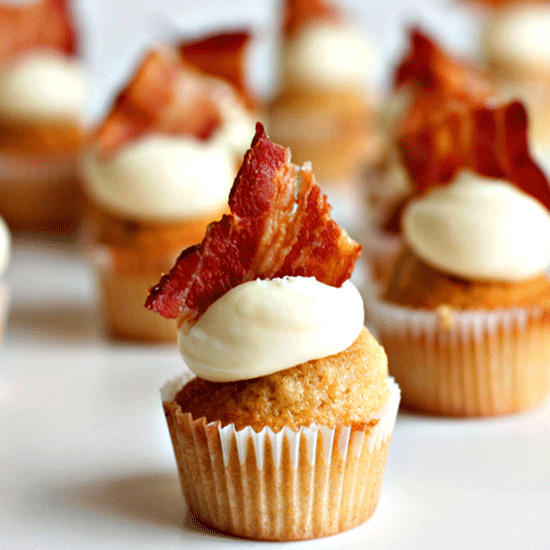 Brooklyn baker Keavy Landreth of Kumquat Cupcakery specializes in mini cupcakes including this Maple Bacon Cupcake (pictured), made with maple cinnamon cake topped with vanilla frosting and a thick cut of bacon from Vermont's Tamarack Hollow Farms. At the Meatloaf Bakery in Chicago, Cynthia Kallile combines two unlikely comfort foods: meatloaf and the cupcake. For her cupcake-shaped Chili Chili Bang Bang (pictured), she tops a chili-inspired mini-meatloaf (prepared with ground beef and beans) with cheddar cheese-corn bread. 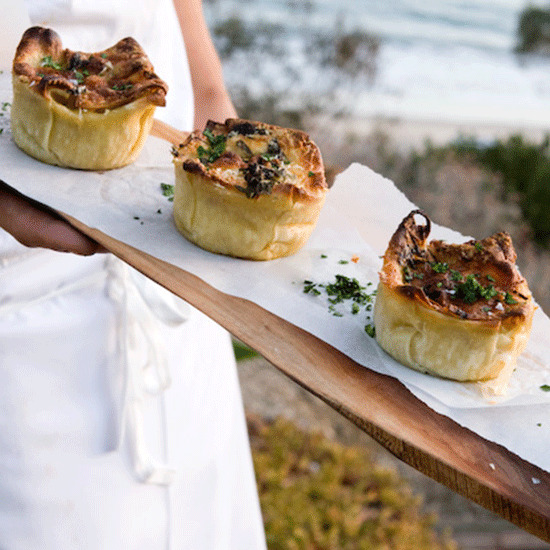 Los Angeles caterer Matthew Poley of Heirloom-LA fills his signature "Lasagnettes" (lasagna cupcakes) with fresh pasta and main-course-worthy combinations like slow-braised short rib with cippolini onions and Robiola cheese (pictured). 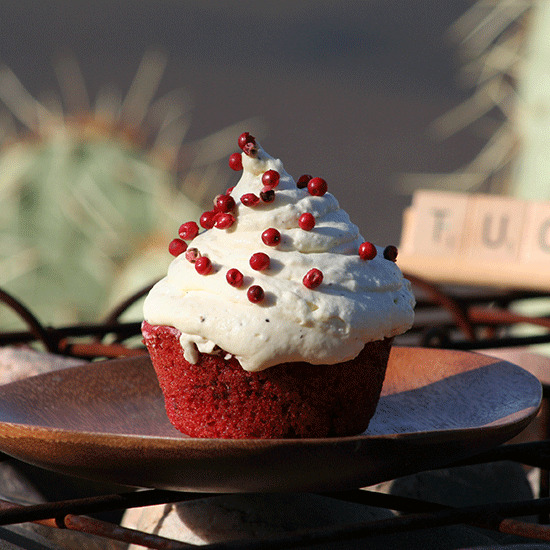 At the Phoenix restaurant Tuck Shop, Mitch Hoverman puts a witty spin on the ubiquitous red velvet cupcake: his version includes a beet cake topped with goat cheese-horseradish whipped cream and studded with pink peppercorns (pictured). 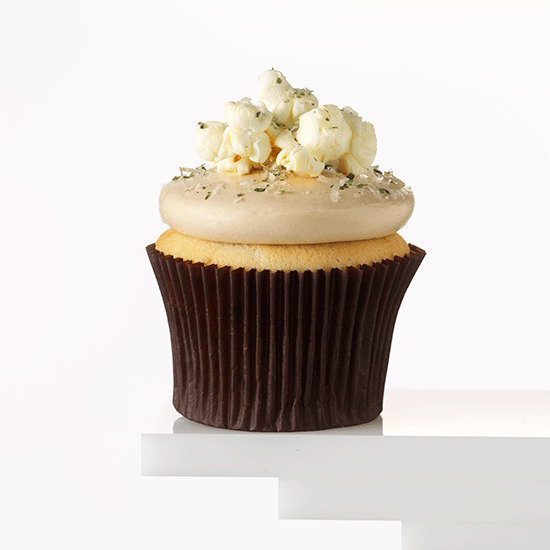 At More in Chicago, Patty Rothman's fanciful cupcakes range from sweet to savory, humble (the BLT Cupcake, with bacon, tomato and an onion-garlic cream cheese frosting) to luxurious (including two versions of the Bacon White Truffle, one garnished with fresh-shaved white truffle; the other with truffle salt-tossed popcorn, pictured). 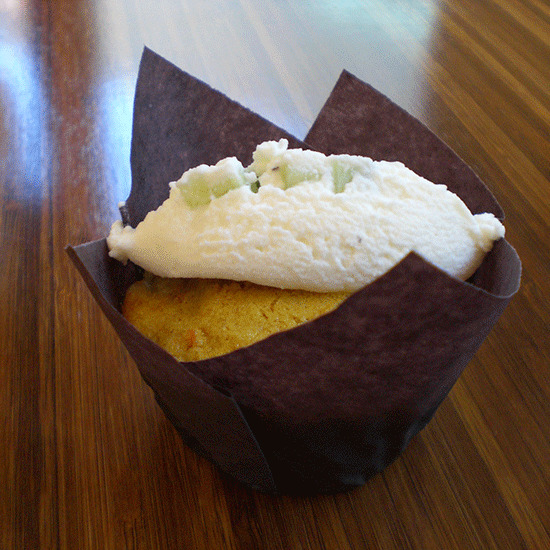 Chih-Chung Fang once worked the pastry station at Berkeley's illustrious Chez Panisse; now his inventive cupcakes for Republic of Cake in Orinda, California, include the Veggie Curry (pictured), a curried buttermilk cake filled with peas, carrots and roast potatoes and topped with cucumber yogurt. 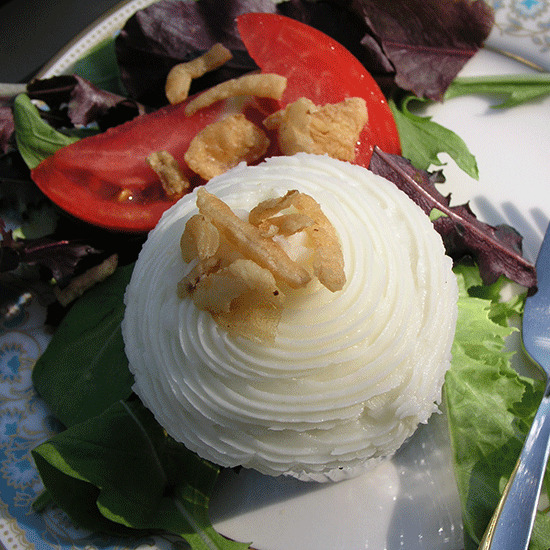 Among Linda Hurst's city-inspired cupcakes for Cities Cupcake in Knoxville, Tennessee: the Milwaukee, a malty cake prepared with Budweiser beer and crispy fried onions. Mona Wilson of It's a Cupcake in Philadelphia doesn't shy away from using seafood in her savory cupcakes—her ingredients range from shrimp and tuna to oysters and lobster. 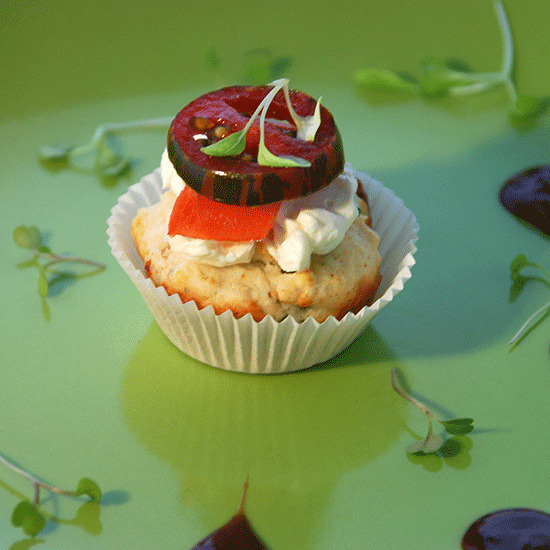 For The Lox (pictured), she tops a scallion cake with smoked salmon chive cream cheese. 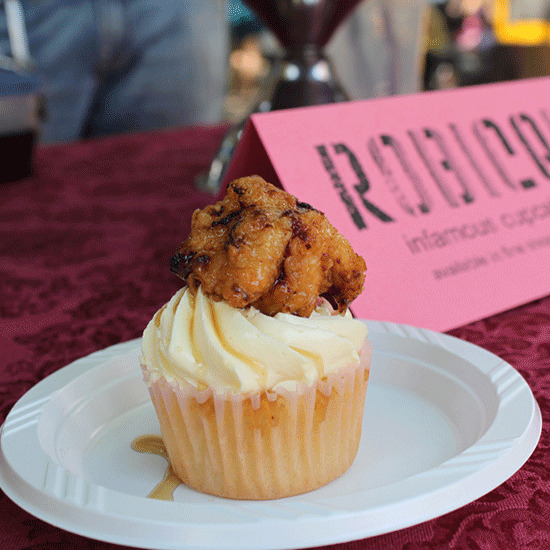 Brooklyn bakers Matt and Allison Robicelli of Robicelli's Cupcakes come up with inspired concoctions weekly, like the Chicken 'n' Waffles (pictured), a vanilla "waffle" cupcake topped with buttermilk fried chicken.